The InLoox options support you with a central customer management. 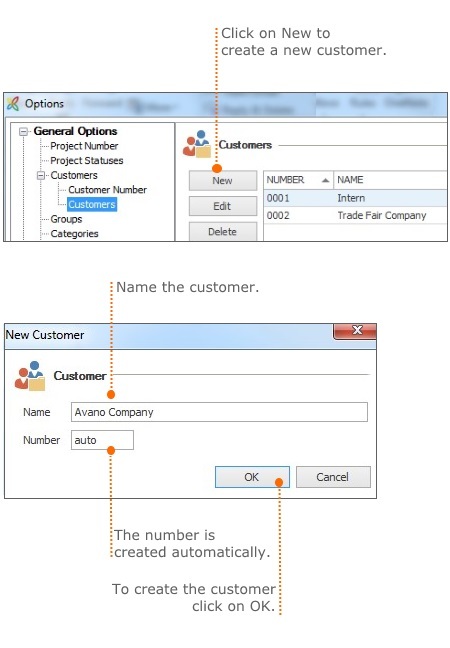 You can create a new customer system-wide within the options as well as directly within a project. 2. Select General Options and click on Customer then on Customers. Choose a customer and click on Edit to customize the chosen customer. Click on Delate to remove a chosen customer from the customer list. The renaming of a customer immediately affects all relevant projects. The deletion of a customer immediately affects all relevant projects. Create and manage customers in InLoox 9 • Copyright 1999-2019 © InLoox, Inc. All rights reserved.